Cathy Chan focuses on securities, corporate finance and mergers and acquisitions. 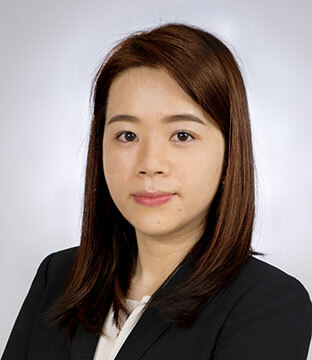 She advises clients on public and private mergers and acquisitions, initial public offerings on the Hong Kong Stock Exchange, and compliance matters in relation to Hong Kong-listed companies. Advised a Fujian-based fungi product supplier in its HK$567 million public offering on the Main Board of the Hong Kong Stock Exchange. Advised an Nanjing-based online parenting platform in its HK$293 million public offering on the GEM Board of Hong Kong Stock Exchange. Advised one of the largest licensed microfinance company in Fujian Province in its US$38.7 million initial public offering on the Main Board of the Hong Kong Stock Exchange. Advised a Hong Kong-based listed infrastructure company in its proposed spinning of its property management business. Advised the sole sponsor in an approximately HK$48.6 million initial public offering of a Hong Kong-based cleaning service provider on the GEM Board of the Hong Kong Stock Exchange. Advised a Hong Kong based LED lighting products supplier in its HK$100 million initial public offering on the GEM Board of the Stock Exchange. Advised a well-established plastic mould company in the PRC in its approximately HK$77.6 million initial public offering on the Main Board of the Hong Kong Stock Exchange. Advised a Shanghai-based PRC bank in its acquisition of a licensed corporation in Hong Kong. Advised a Beijing-based conglomerated in its acquisition of digital retailer chain in Hong Kong and Macau. Advised a Shanghai-based optical group listed on Shenzhen Stock Exchange in its acquisition of a Hong Kong medical care group. Advised a Hong Kong based listed company in its sale of property land to another Hong Kong based listed company. Advised one of the largest assets management companies in the PRC in a series of its investment in both Hong Kong listed companies and private companies. Advised a number of Hong Kong listed companies in its general acquisitions and disposals matters. Advised a number of private enterprises in their pre-IPO investments. Advised a number of Hong Kong listed companies/private enterprises in their setting up/subscription of interest in a number of private equity funds. Advised several listed companies in relation to their compliance matters under the Hong Kong Listing Rules and other relevant laws and regulations.